Welcome to yet another installment of Secret Recipe Club. A monthly jaunt into other people’s food blogs with the sole purpose of meeting new friends and discovering some delicious new recipes. Out of all of Melanie’s fabulously fun recipes, I chose her Key Lime Bars With Pistachio Graham Cracker Crust. Oddly enough (for me) I pretty much followed her recipe to a “T” and only added a splash of vanilla and a dash of salt that her original recipe didn’t call for….Oh, I also made it into a tart by using a tart pan 🙂 If you’re familiar with key lime anything, you’ll know that “tart” is a very appropriate word! 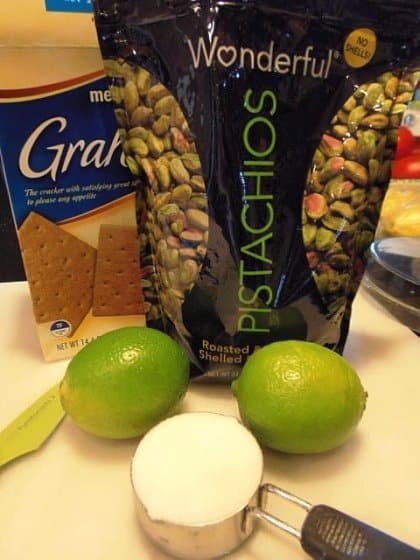 -Add the graham crackers, pistachios, sugar and lime zest to a food processor and pulse until the mixture is resembles dry sand. 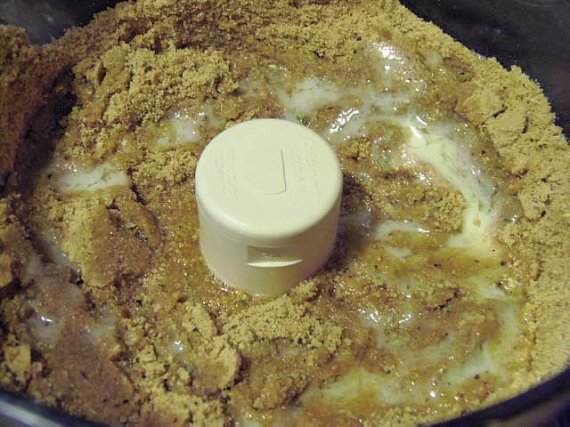 -Add the melted butter and pulse for an additional few seconds until the mixture resembles…wet sand. -Prepare a tart pan by spraying the bottom and sides with cooking spray. 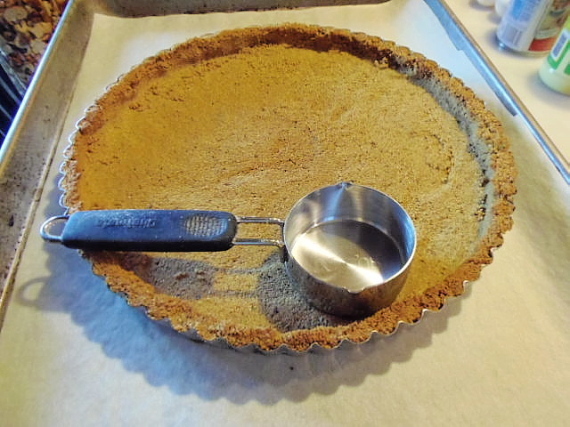 -Add the wet graham cracker crumbs to the tart pan and press the mixture evenly on the bottom and up the sides of the pan to form a uniform crust. ***NOTE- A flat bottom measuring cup can be very helpful in pressing the crumbs evenly into the pan. 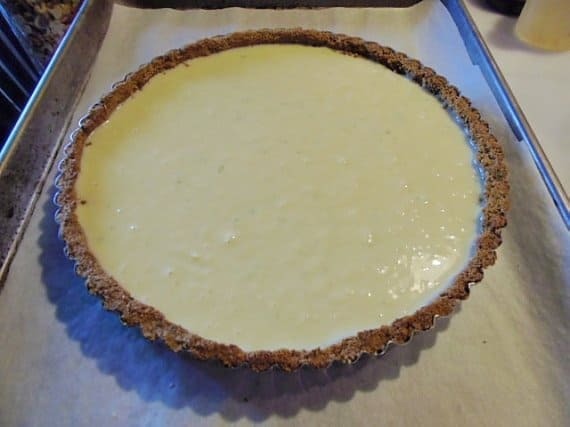 -Bake the tart crust in a preheated 350 degree oven for 8-12 minutes until nicely golden. 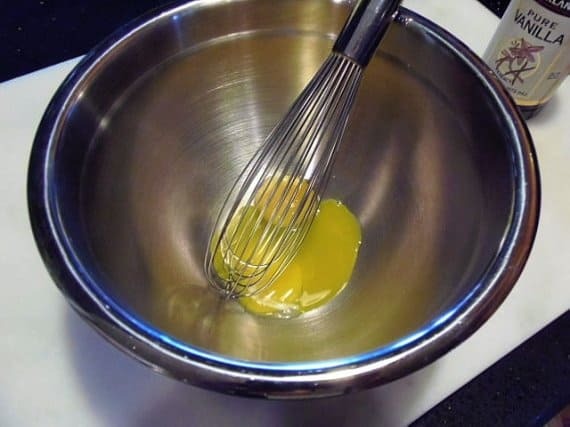 -In a larbe bowl, whisk the egg yolks and condensed milk. 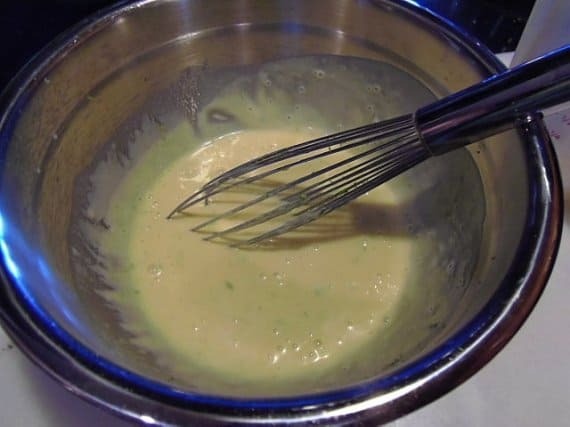 -Add the key lime juice, vanilla and salt whisking again until smooth. 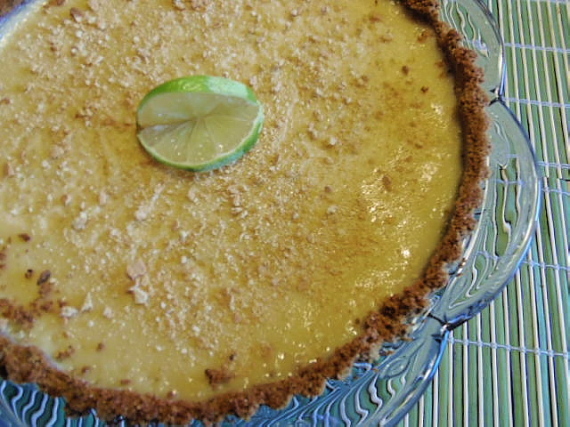 -Pour the key lime mixture into the cooled crust and spread it evenly. -Bake at 350 degrees until the filling is set ( approximately 15 minutes). -Remove and allow to cool to room temperature. -To serve, gently place one hand on the bottom of the tart pan and lift. The outer ring of the pan will fall away leaving you with a lovely side crust that is easy to slice and serve. -I garnished mine with some additional crushed graham cracker crumbs and fresh lime zest. Thank you for the recipe Melanie! It was very refreshing dessert on a hot summer’s day. We enjoyed it very much!!! That looks so pretty! I love how you put the zest on top! What a gorgeous tart! I love anything with key limes. 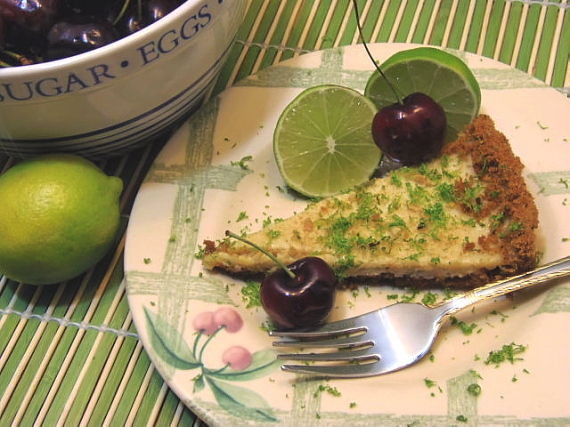 Key lime is one of my all-time favorites! 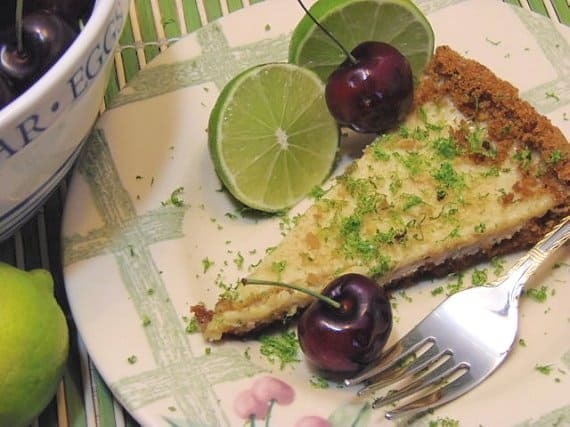 I love the addition of pistachios in the crust; the perfect sweet and salty combo to compliment the tart key lime filling. Sounds wonderful! This crust looks awesome and of course I'm going to be a big fan of it because of the pistachios in it. Great looking tart. Oh my gosh…YUM! I love key lime pie, but haven't had any in ages. 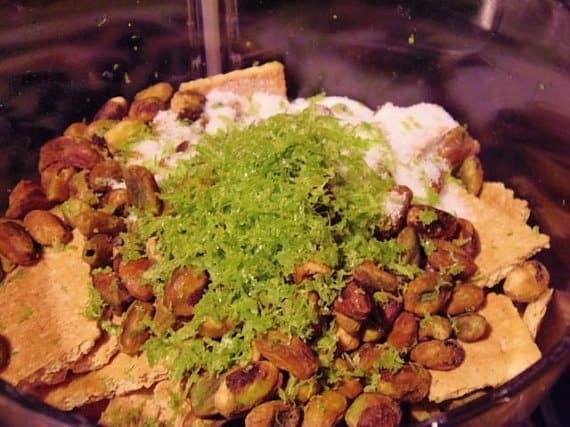 And that crust sounds amazing with the addition of pistachios! My key lime tree is producing fruit faster than I can use it. I can't wait to make this SOON! I SO love key lime pie! This pistachio-laced crust looks heavenly! That crust sounds awesome! What a yummy dessert for the end of summer. Great choice for SRC!